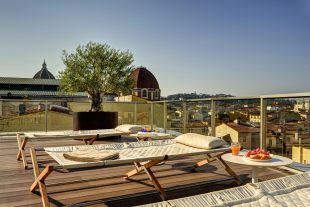 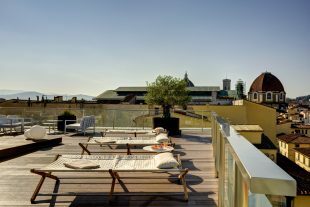 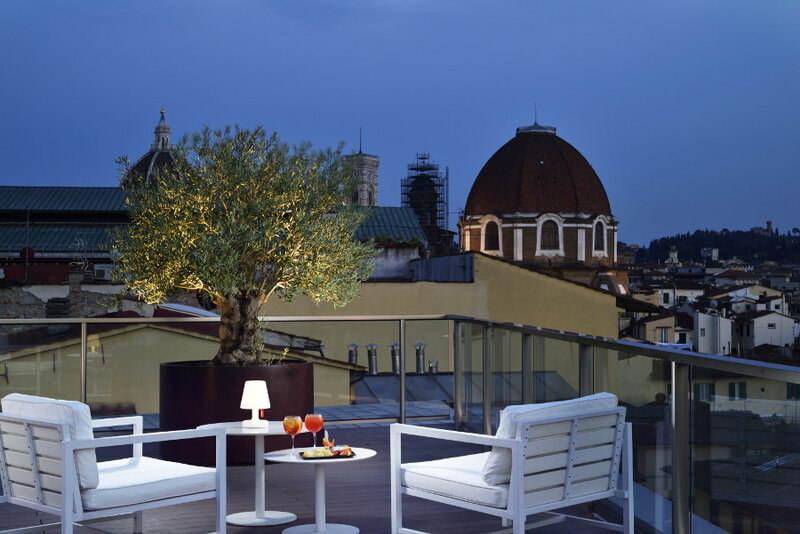 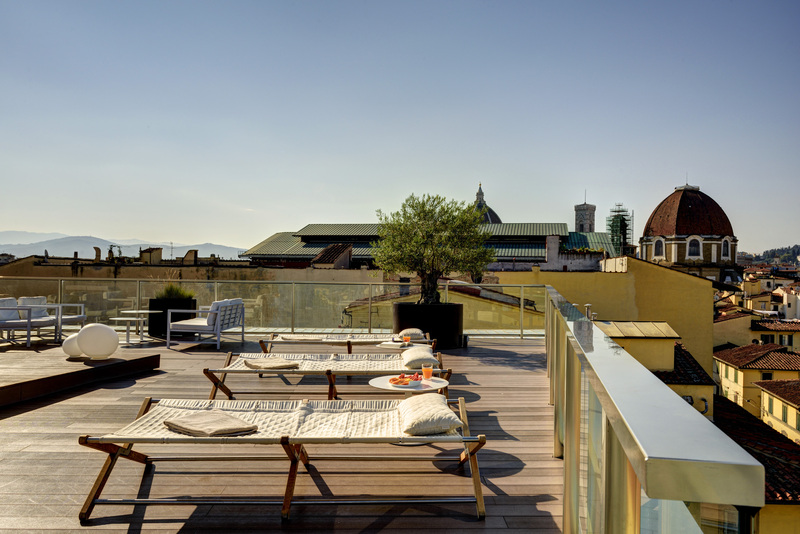 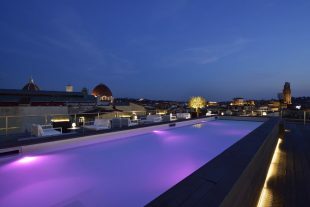 The aesthetic charm of Glance Hotel Florence culminates on the sixth floor of the building, on the large rooftop terrace that offers sweeping views of Florence’s picturesque skyline. 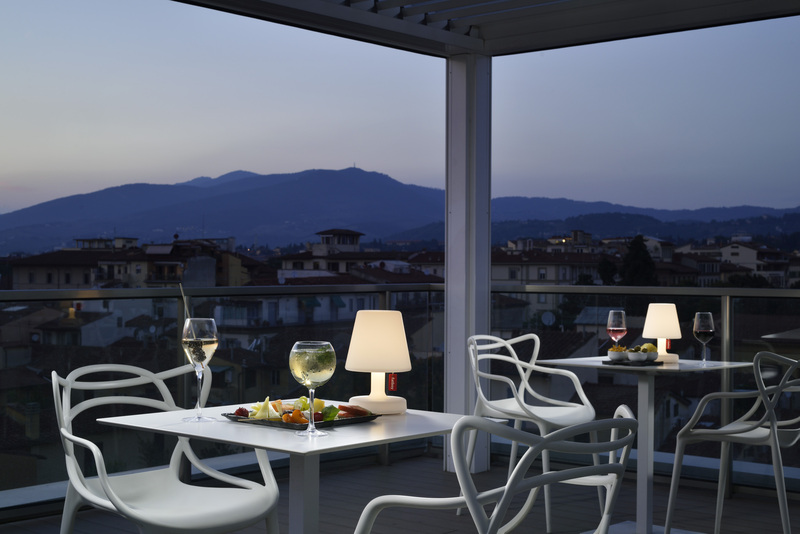 A simple, elegant and modern space, with clean lines and tasteful furnishings. 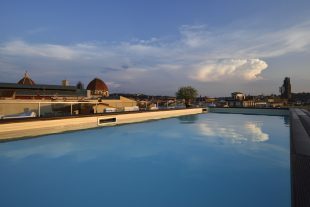 Our large heated pool, measuring 12 x 3 metres, sits atop the building. 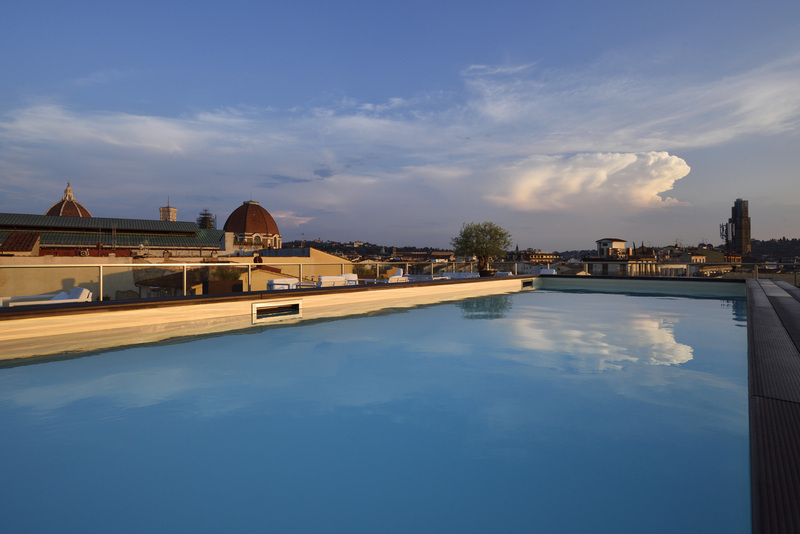 Come and take a romantic and refreshing dip – a real treat for the body, the mind and the eyes. 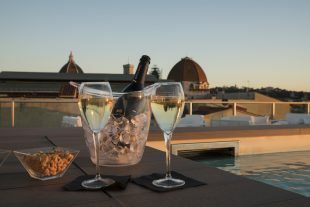 The pool is open to our guests from 1st May to 15th October, 7 days a week, from 10am to 8 pm. 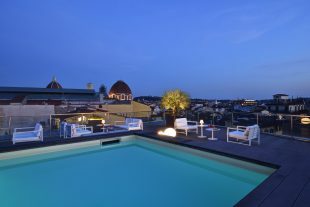 In between dips, you’ll probably want to enjoy a cool drink by the pool, surrounded by the city’s rooftops. 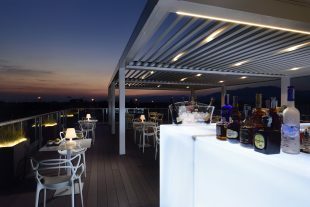 To quench your thirst, the pool bar is open during the day throughout summer, ready to transform into a lounge bar as early evening sets in. 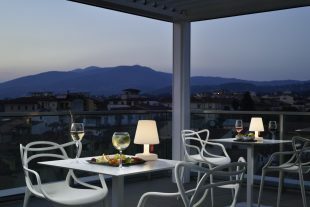 Private events, wine & champagne tastings, degustation evenings, cooking displays, musical concerts for a hundred guests, or corporate events: no matter the type of entertainment, holding your event on the rooftop terrace of Glance Hotel Florence will give it a touch of class and a lot of wow factor. 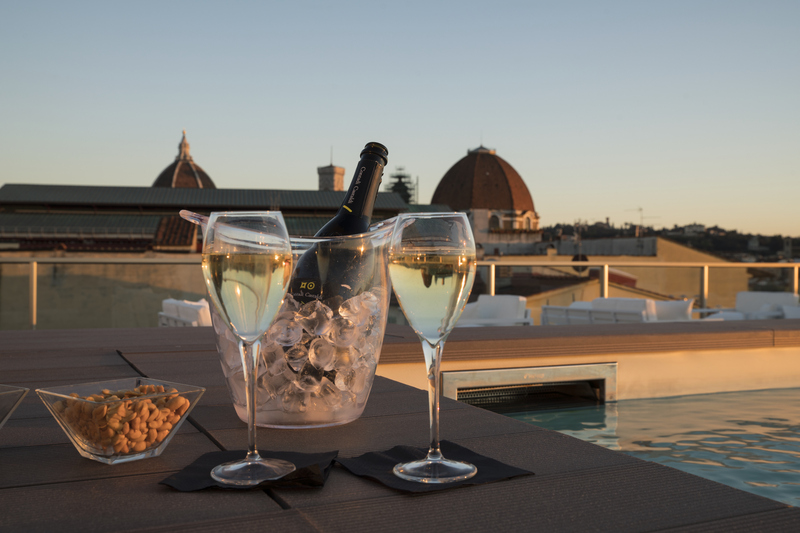 In the evening, the terrace opens out over the city with unforgettable sunsets and the amazing view of Florence by night, making it the perfect location for any type of party. 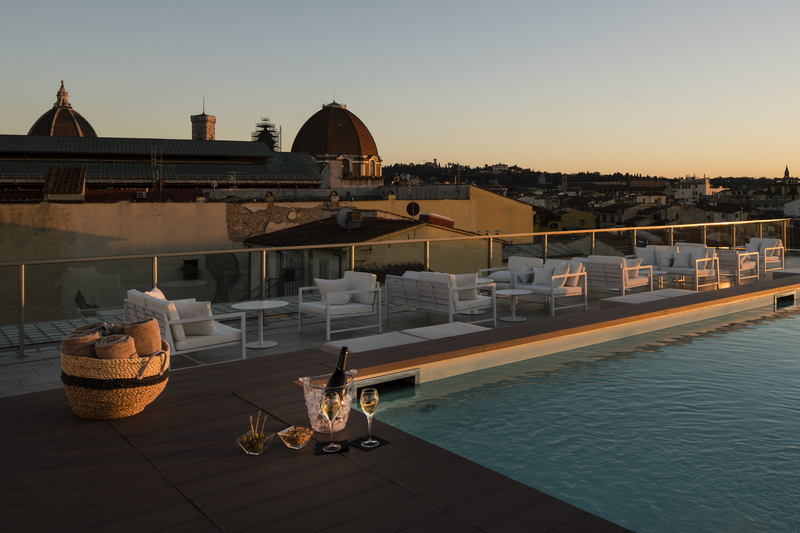 The Sky Breeze Rooftop and Pool is open not only to hotel guests but also to the people of Florence, who can experience the privilege of enjoying a magical evening in an elegant, joyful setting. Are you looking for a scenic location to host events in Florence?